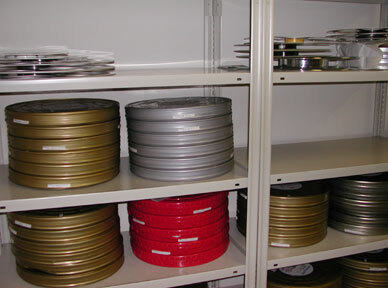 All film and a limited amount of video in our film archive collection is preserved in our film vault which can hold up to 20,000 reels of 2,000 ft. 35mm film. 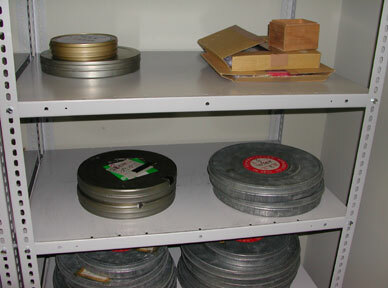 Because our collection is also exhibited to the public at our Movie Hall Ciné-là, our prints must be transferred from film preservation temperature to room temperature. As moving prints immediately from preservation to room temperature subjects film prints to undesirable pressure, we transfer our prints in three stages allowing our prints to gradually get used to room temperature. Temperature and humidity settings are controlled by the Control Center. 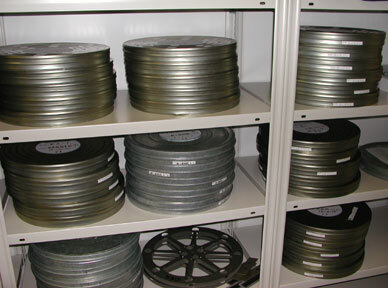 This is the main film archive film vault used to preserve our film and special video collection,a vast majority of the films which are of Japanese and Asian origin.The film vault is set at 5 degrees centigrade and 40% humidity. 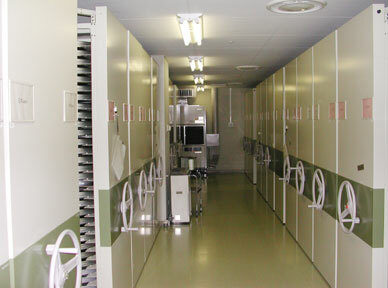 This is the middle room of our 3 stage film vault system set at 12 degrees centigrade and 50% humidity. 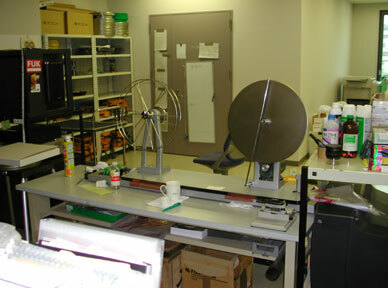 This is the front room of our 3 stage film vault system set at 17 degrees centigrade and 50% humidity. 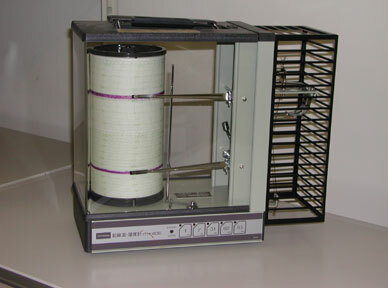 The picture on the right is a device which calculates temperature and humidity. 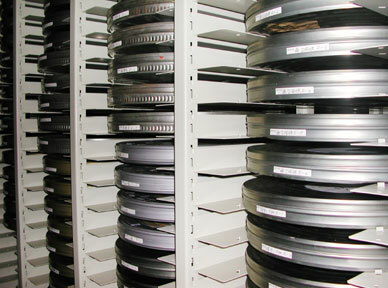 A detailed check on the quality of each film is made and documented before the film is exhibited. 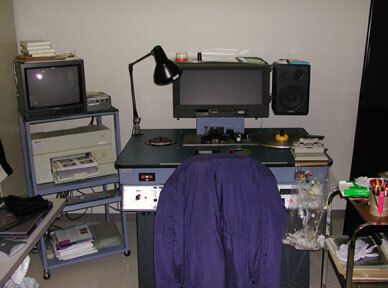 A detailed check is also made on the film after its exhibition to detect any change in film quality which may affect the prevervation of the print.